Charles E. Walker, 65, passed away quietly January 22, 2018. Charlie, known as Bubba by friends and family, grew up in West Nashville. 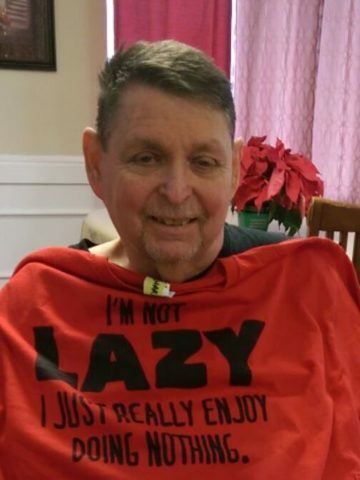 He loved playing softball, and spent his pastimes riding around and playing golf and was an avid lover of collectible cars. His favorite pastime was just riding around, waving at people as he passed, and playing golf. He was an active member of Barth Vernon United Methodist Church for many years. He is survived by his wife of 28 years, Helen Newberry Walker; stepdaughter Kristie Diane Nelson; brothers Porter Walker (Nancy), Cameron Walker (Gina), and Alan Walker (Tracie); four granddaughters, three great granddaughters, one great grandson, and many nieces and nephews. He was preceded in death by parents William Porter Walker and Zella Mae Campbell Walker. Funeral service will be held 1PM Thursday, January 25, 2018 at West Harpeth Funeral Home. Burial to follow at Harpeth Hills Memory Gardens. Visitation with the family will be held from 11AM -1PM at West Harpeth Funeral Home. I’m so sorry to hear about the loss of Charlie. To the family, my heartfelt condolences for the loss of your loved one. As you cope with your loss, may you be comforted by the “Father of our Lord Jesus Christ, the Father of tender mercies and the God of all comfort” (2 Cor 1:3) that one day, “all those in the memorial tombs will hear his voice and come out.” (John 5:28, 29) May these promises from God’s word, the Bible give you comfort now and real hope for the future. My deepest sympathy. We are so sorry to hear about Charlie. All of you are in our thoughts and prayers. So sorry to hear of Charlie’s passing. We went to school together at Cohn. Will cherish the memories we all had together.